Join us for our first Networking Happy Hour in 2019! No Speakers! No Announcements! Just Networking! Each Ticket includes Pizza Buffet with Salad and (2) Drinks. Each Attendee will also receive a Ticket to participate in a Gift Card Raffle. We are offering two Sponsorship Opportunities. 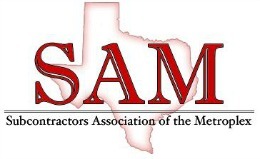 This is a great way for other SAM Members to learn about your business. A Drink Sponsor is $100, and it also includes two attendees. A Dinner Sponsor is $150, and it includes three attendees. For both Sponsorship Levels, we will display your logo and give your company a shout out at the event. Would you like to donate a Gift Card for our Raffle? Simply add on that option on the Registration Page, and a SAM Representative will pick up the gift card to save you some time. Your company name will be displayed on the Gift Card, too.